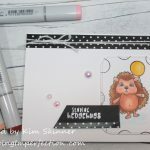 Pursuing Happiness With Summer Solstice From Stampin’ Up! There are days where you feel creativity flowing from your fingers and other days where you feel like you have to pull out the creativity with a winch and a chain! Then there are days like today where you sit down with a great card sketch and accidentally make a card you really love! I love days like today. I call them my “Creative Surprise” days. I know that there will be people (yes, you Shelly!) who find it horrifying when I say that some days I sit down to create a card with no plan in mind. Many times, the card I have planned in my head isn’t what comes out on paper! Some days, even when the card comes out like my plan, I’m surprised by how much I like it!! I started with a great sketch today from my design team friends at the Paper Craft Crew! I have been on a monochromatic kick lately. Don’t ask me why! I wouldn’t be able to tell you. I just find them amazingly appealing lately! 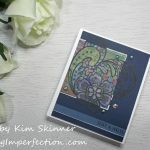 Papers: Print Poetry Designer Series Paper, Comfort Cafe Designer Series Paper, Whisper White and Midnight Muse card stock. 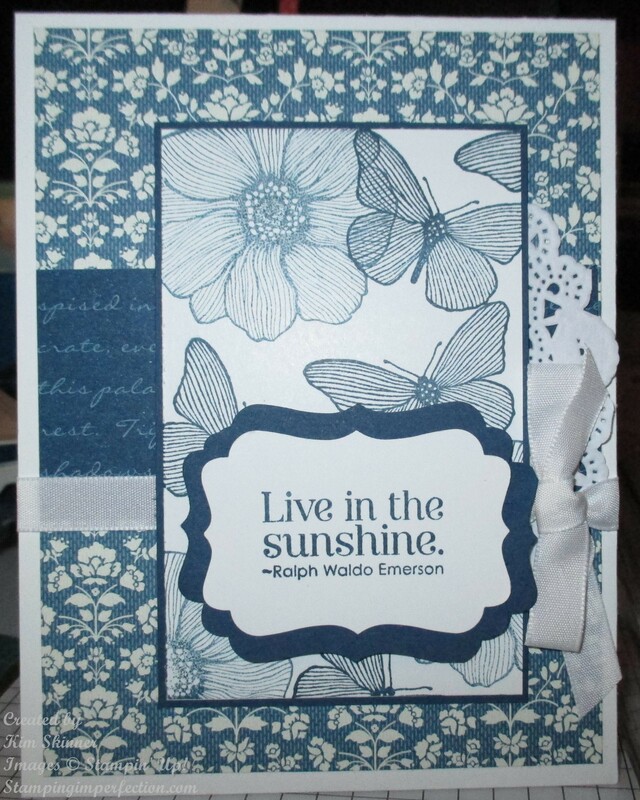 The card base is made from Whisper White cut at 4-1/4 x 11″ and scored at 5-1/2″. The Comfort Cafe DSP mat is cut at 4 x 5-1/4″ and the Print Poetry strip is cut at 4 x 1-3/4″. 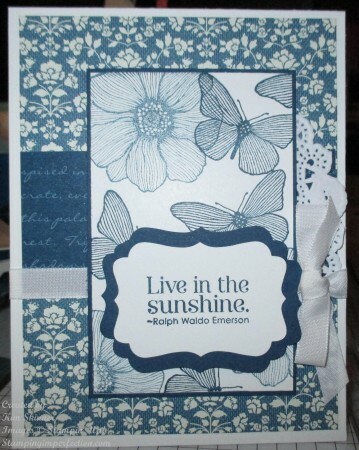 The image is stamped in Midnight Muse on Whisper White cut at 2-1/2 x 4″ and the Midnight Muse mat is cut at 2-5/8 x 4-1/8″. I used 1/2 of a lace doily and tied my bow sideways. I love the bow tied along the edge of the image like this! 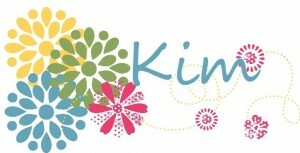 The sentiment is stamped from Pursuit of Happiness and punched with the decorative label punch. I wanted a mat with my punched sentiment, so I used a little punch trick! I have a video to show this to you! 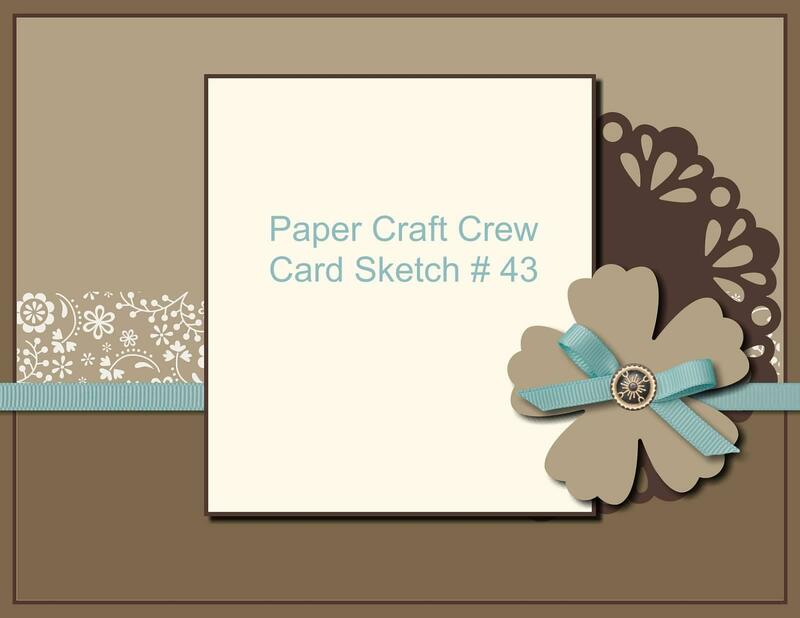 Here is the original Paper Craft Crew Sketch for this week’s card challenge! 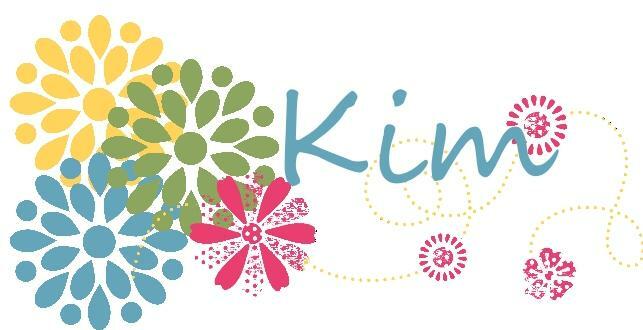 You can order your stamping supplies and retiring products in my online Stampin’ Up! 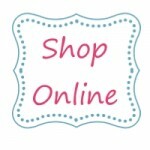 store! The New Catalogs Are Coming!!! 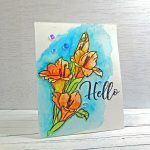 If you are a Stamping Imperfection customer or Virtual Stamp Club Member and you have placed an order with me in April or May, you will automatically get a catalog delivered to your door!!!! Virtual Club members should have the catalogs by now!! Aren’t they gorgeous?! It’s not to late to get a free catalog delivered to your door!!! Just place an order in my online store (free downloads are excluded from this offer) and I will send you a catalog! It will arrive separately from your order!